An astounding 10 million people have created Periscope accounts since the app was born in late March, and almost two million people actively use it every day. That said, while it’s still the new kid on the block, the livestreaming app holds some clout in the social media community, and many companies, large and small, have begun to leverage it for disseminating social campaigns and boosting brand awareness among target audiences. 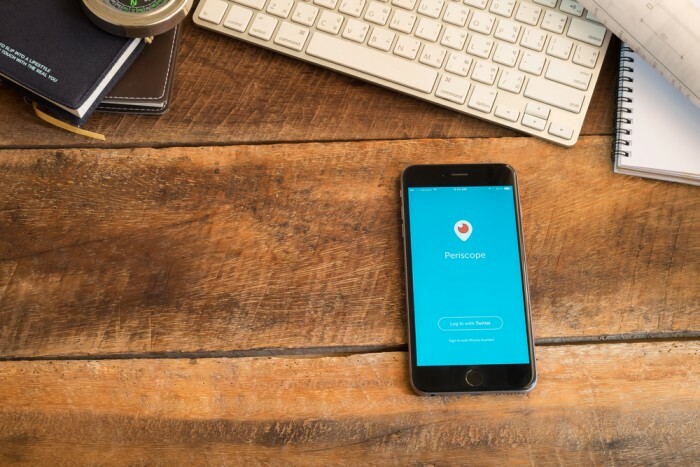 As brands begin to experiment with Periscope, one critical use for the platform they shouldn’t ignore is communicating their employer brand with the intent to attract talent. Given that 56% of today’s job seekers spend 1-4 hours researching companies online (iCIMS), it is crucial that businesses find a way to stand out and engage with talent online. Periscope is just one more tool that brands can use to showcase their company culture and mission, as well as establish rapport and likeability with job applicants. What better way to do so than through the medium of video where the passion from a CEO’s voice, the noise of a lively office, or the genuine excitement of a happy employee can speak volumes. Corporate Culture: In a recent survey conducted by iCIMS, 78% of job seekers think company culture is important in their job search. Using Periscope to create a short video office tour is a great way to illustrate your company culture and bring potential candidates into your world. From friendly ping pong challenges to lunch al fresco on an outdoor patio to cool reading rooms and lounges…a corporate environment is a huge selling point for prospective employees and can offer an inside look into what it’s like to work at your company. The goal is for potential employees is to envision themselves standing at the podium of a state-of-the-art meeting room, grabbing a latte at your company’s barista bar and brainstorming your company’s next big move in your company’s fitness center. Employee Recognition: How do you recognize employees? A short video showcasing an employee recognition event is a great way to illustrate the culture and spirit of the organization. Perhaps your ritual is a simple happy hour gathering with a short presentation acknowledging recent employee standouts, or maybe it’s a larger event awarding an employee with free vacation, a trip getaway or some other exciting perk. People are inherently attracted to positivity and this tactic is sure to get job seekers excited about your company. Hiring Tips: Offer up “tips for getting in the door” by means of a small vignette from the company’s hiring manager in which she reviews the interview process—what to expect, number of rounds and even insights on what the company is looking for in hires. The hiring process is a two-way street after all, and job seekers will appreciate that you’re giving them the tools to succeed in an interview, thus establishing a mutual trust between potential candidates and your brand from the get-go. Tell Your Story through Employees’ Eyes: Create a “why I love my job” video featuring one or several employees giving a short testimony about the aspects of their specific position and the company’s overall culture that they love. Your current talent is the best living, breathing representation of what kind of talent you’re seeking so take advantage of your employees’ unique personalities, voices and perspectives. Once again, this sort of tactic is unique to livestreaming apps like Periscope that allow for an employee’s genuine smile or silly giggle to speak for itself unlike fancy words in a company’s mission statement. Go Beyond the Workplace: Share a live reel of your company’s involvement with a local charity or a community event. This is a great way to show your employees in action, literally— capturing the positive energy of a charitable 5K race or a team beach cleanup. Millennials and Gen Z employees, in particularly, are attracted to companies that have a genuine care and concern for society. Not only is a “do good” video a great way to highlight how your organization contributes to the community, it’s a great way to showcase that you’re not just focused on the bottom line and giving back is part of your company culture. As chief marketing officer at iCIMS, Susan Vitale oversees brand, communications, and direct marketing. She also plays a role in portfolio strategy, helping to ensure iCIMS’ products and platform remain on the radar of the ever-changing HR technology landscape. A graduate of Lehigh University, she joined iCIMS straight out of college in 2005 as a marketing coordinator. She quickly moved through the ranks, becoming the director of marketing, and then before the age of 30 was promoted to chief marketing officer. Her entrepreneurial thinking helps her develop new business opportunities via new product lines, expansion into new markets, and additional revenue streams. She belongs to several online mentoring communities where she gives career advice and provides insight on finding the right career fit for young professionals.